One of the most important aspects of your finances is your credit history. Your credit report is a record of your financial life as it relates to borrowing money. It is, essentially, your financial reputation. When your credit report looks good, you look good — and like a good financial risk. Lenders are more likely to approve your application, and give you competitive interest rates. On the flip side, negative information in your credit report can indicate that you might not be as solid as a lender would like. In order to offset some of that risk, the lender can charge you higher interest rates, costing you hundreds, or even thousands, of dollars more over the life of a loan. The information in your credit report is used to form your credit score. Not only is the information in your credit report used by lenders, but it might also be used by insurers, landlords, and potential employers. All of these people are making decisions about you based on what’s in your credit report. It’s important that you check your credit report, and when you find an error, you should fix it. Your first step is to check your credit report for mistakes. Indications are that most credit reports have some sort of error, so there is a good chance that your history contains at least one. You always have the option to pay for your credit report from any of the three bureaus. However, you can receive a free copy of your credit report by visiting freecreditreport.com, where you are entitled to a free report from each of the three bureaus each year. It is also possible to see a free TransUnion credit report when you are a member of Credit Karma, and get a free copy of your Experian report with Quizzle or with Credit Sesame. If your credit report was used as a reason to deny you credit or prompt an increase in an insurance premium, or if your credit report was used to deny you a job, you have the right to a free copy of the report used. You must write the credit agency involved within 60 days, however. All of those errors can have, to varying degrees, a negative impact on your credit history. You will want these errors fixed. Fortunately, the law is on your side, and the Fair Credit Reporting Act requires that credit bureaus fix errors in a timely manner — usually within 30 days. Find documentation supporting your claims: If you have documentation that supports your claims, make a copy. You should never send original documents anywhere; always keep originals for your own records. If you paid on time, a copy of your bank statement, with a date highlighted showing the on-time payment, can serve as documentation. If you don’t have documentation, such as in the case of a fraudulent account, it might be more difficult. But you can still request the information be removed (although you should call first and possibly put a credit freeze on your report). Write a letter to the credit bureau: Next, write a letter to the credit bureau. All disputes need to take place in writing. You must send a letter to each bureau with mistaken information. Sending your dispute to one bureau will not fix the information on other reports. Your dispute letter should include your full name and address, and describe each item you are disputing. Be sure to keep a copy of the letter for your records. You can see a sample dispute letter at the end of this post. Send the letter, and enclosures, certified mail: Once your letter is finished, enclose your credit report copy with highlighted disputed items, and supporting documentation. You should send your dispute using certified mail, and request a receipt. This is important, since it will provide proof that the credit bureau actually received your request. Consider sending copies to your creditor: The process can be speeded if you send the same information to the company that made the report to the credit bureau. Send only copies, and send via certified mail. You can request that a corrected copy of your credit report be sent to anyone who requested your credit report in the last six months. For employment purposes, you can have it sent to those who requested your credit report up to two years ago. You are also allowed to ask that your dispute information be included with your credit report, and you can also include your own statement with your credit report. 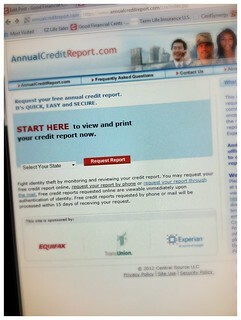 Have you had to correct an error on your credit report? What was the process like? Great article Miranda. Right on the money. I had to dispute an account with Transunion awhile ago, and I thought that they allowed me to dispute it online (after pulling my credit report through annualcreditreport.com). I had supporting documentation that the collection in question wasn’t mine, and 40 days later it was fixed. Retiring Early? Don't Forget About 72(t)!